We are excited to announce that Aislelabs can now help you monetize your sizeable WiFi infrastructure investments with its Payment WiFi feature. We are constantly listening to our enterprise customers and upgraded our platform capabilities with payment WiFi. Payment WiFi presents you with the opportunity to increase revenue and considerably reduce your infrastructure payback period. Payment WiFi will allow you to charge customers visiting the site for WiFi access based on duration, data usage, and bandwidth allocation. Time duration is used to limit the amount of free access to a connected WiFi user (1 hour for example) following the user is directed to the splash page to buy an access code for additional time. Data usage limits enable sites to ask users for a premium once the connected users consume the allocated data. As an example, users who are streaming videos or playing games online would consume a higher proportion of data. Lastly, sites can limit the download or the upload speed of the WiFi. Users who want a superior WiFi experience, then have the option of upgrading to a faster WiFi service for a charge. 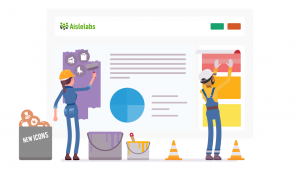 You can easily set up paid WiFi plans and discount codes to create custom packages with varied pricing tiers and different validity period from within the Aislelabs platform. You can also set prices in your desired currency, we process almost all currencies in the world! Our advanced analytics capabilities empower you to create exhaustive reports in real time. 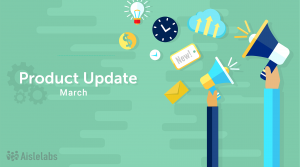 Metrics can be broken down by date or period, site location, and user profile. Visualization using charts helps you to keep a track of the revenue generated from the prepaid transactions. Aislelabs integrates natively with all major hardware providers, allowing you to deploy payment WiFi with ease. Payment WiFi works alongside Connect’s existing login options of Facebook, Twitter, email, SMS and other popular social sites. We already support login based on hotel room number, last name, and one-time voucher. Our deep integration with PMS softwares automates the entire process to provide a seamless experience to visitors. You can create multi-channel marketing campaigns with email, SMS, and social posts for all login methods including the new Payment WiFi. Conduct targeted digital advertising for select customer groups or use rule-based marketing for real-time personalized communication. 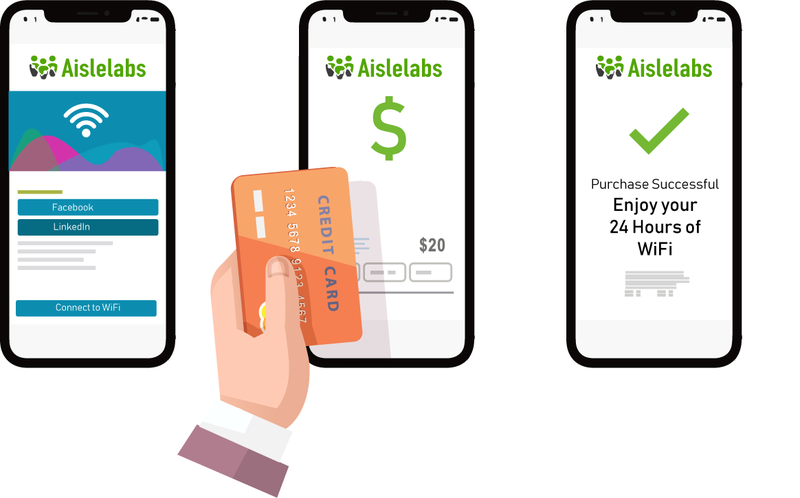 There is a secondary cost in addition to your current Aislelabs Connect subscription to enable the Payment WiFi feature.